Wednesday Night Whinos: Win a $100 Gift Certificate to Fleming’s! 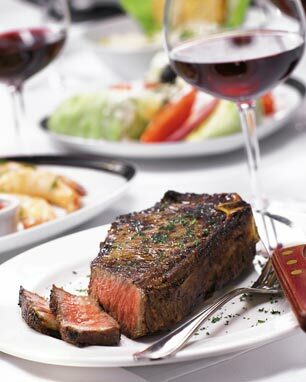 One very lucky Whino, who must be present for the drawing, will win a $100 gift certificate to Fleming’s Steakhouse on Wednesday evening, February 9th. Just in time to beat the winter blues—Wednesday Night Whinos returns this week to Radnor! Join dozens of women on Wednesday, February 9th from 6 p.m. to 8p.m. at Fleming’s Steakhouse for a chance to network, meet other local ladies and sample the fine cuisine at this popular Main Line restaurant. Fleming’s is participating in this Spring’s Main Line Restaurant Week offering an incredible value of a three-course dinner for $40. Whinos will enjoy Fleming’s award-winning wine list with 100 wines by the glass. They are located in the Radnor Financial Center, just minutes from Interstates 76 and 476. Whinos, AroundMainLine.com’s popular ladies social club, is free and open to all women 21 and over. Fleming’s will be offering delicious complimentary food in the bar where Whinos will be held. In addition, one lucky gal will win a $100 gift certificate to Fleming’s—so be sure to bring your business card for our exciting raffle. Whinos is exclusively a ladies only event that welcomes women from AroundMainLine.com’s Facebook page to connect one-on-one in person. RSVP is not required to attend but is helpful for us to plan accordingly. Ladies are encouraged to bring their coworkers, neighbors, sisters, moms, and friends—as always with Whinos, the more the merrier! When: Wednesday, February 9th 6 p.m.-8 p.m.
Why: Wednesday Night Whinos, AroundMainLine.com’s popular ladies social club, continues to thrive as the suburb’s number one resource for women to network. Whinos is free, with no obligation and offers women across the Main Line region a chance to make new friends, key business connections and experience local restaurants and businesses that are prestigious clients of AroundMainLine.com. Incredible ‘Door Prize’: One lucky Whino, who must be in attendance to win, will walk away with a $100 gift certificate to Fleming’s Steakouse. Free event: As always with Wednesday Night Whinos’ events, there is no charge or cover fee to attend. Main Line Restaurant Week Spring 2011: Click here to view Fleming’s Main Line Restaurant Week listing and to make a reservation for Spring Main Line Restaurant week April 4th through April 10th. Want to host a Wednesday Night Whinos at your local business or restaurant with AroundMainLine.com? It’s a dynamic and exciting way to reach tens of thousands of women across the suburban region that are part of AroundMainLine.com’s comprehensive audience and executive female network. Email Sarah Lockard for details: info@aroundmainline.com.